The issue of abortion is often very personal and quite emotional. For every child aborted, there are the mother, the father, grandparents, friends, and other family members who are deeply wounded. Many people, who had no choice in the issue or felt as though they didn't, carry the scars of the loss of a family member, and they desperately search for healing from this trauma. Today I want to highlight a podcast that I heard recently. Patti J. Smith was wounded by having an abortion twice. Since those experiences, she has become pro-life and has found healing from the horrific events. She is a regional coordinator with the Silent No More Awareness Campaign that helps those who have lost a child to abortion. Whether those victims are mothers, fathers, siblings, grandparents, or others, this ministry helps them find the healing that they seek. 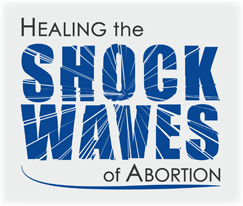 In this interview on the Pro-Life Thinking podcast, Patti speaks of the blessing of the forgiveness and healing that she has experienced as a mother who aborted and encourages other mothers who have aborted to seek the same forgiveness and healing as well. I am reminded of the apostle Paul, was dedicated to the persecuting and killing Christians. But Jesus Christ forgave him and gave him the honor of penning the majority of the New Testament, the revelation that would go into all the world to offer Christ's forgiveness to those who have also sinned. Today, Patti is a wounded healer who is being honored with the privilege of helping victims of abortion find the healing they desperately seek and point them to the ultimate Wounded Healer: Jesus Christ.